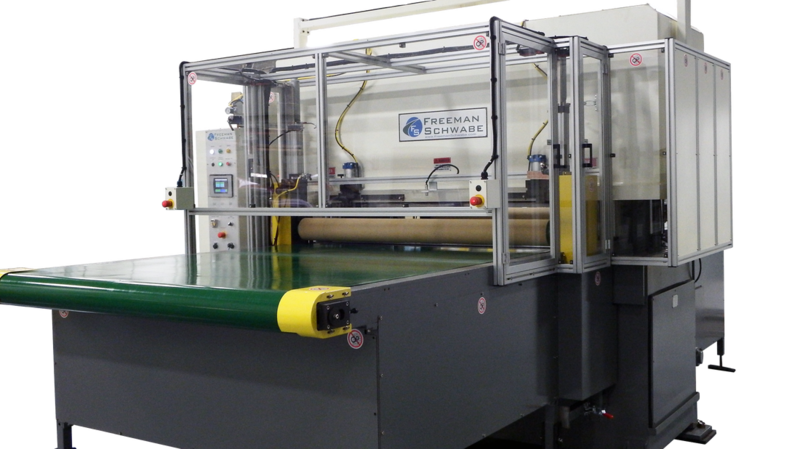 To meet these needs Freeman Schwabe provides a wide range of die cutting presses and machinery to die cut gaskets with precision and consistency. Two-speed cutting stroke of the Model FH provides gasket manufacture maximum speed on the down stroke. 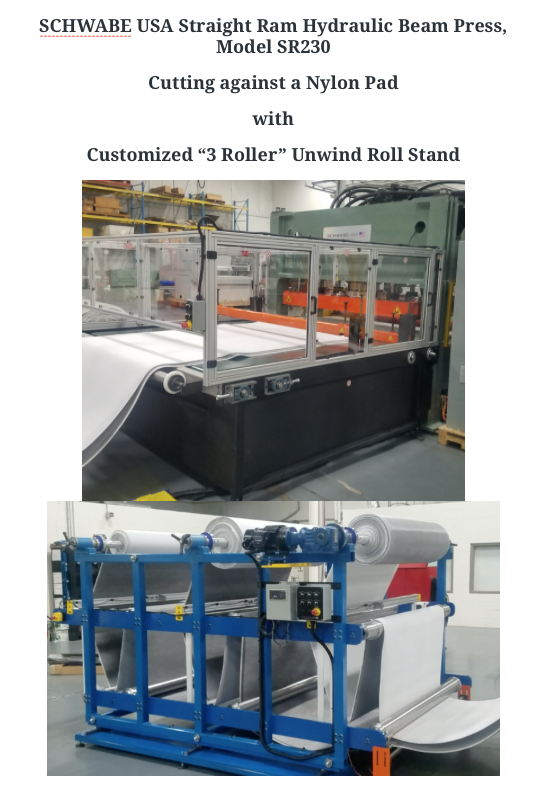 The press provides accurate control of the cutting position, which provides the opportunity for optimizing production rates for manufacturing gaskets, while extending the cutting die and cutting pad life. 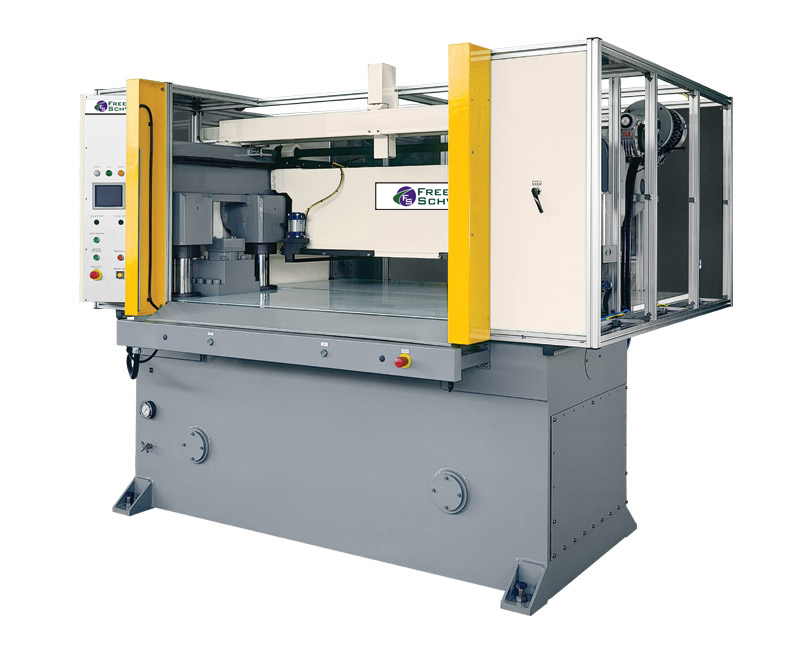 As gaskets require accurate and consistent die cuts time after time the Receding Head is a popular choice of machine. The gasket material to be cut is mounted on a stationary table that securely holds the material in place, avoiding any shifting problems, thereby providing consistent precision die cutting time after time. Model SR Schwabe Straight Ram Hydraulic Die Cutting Press.